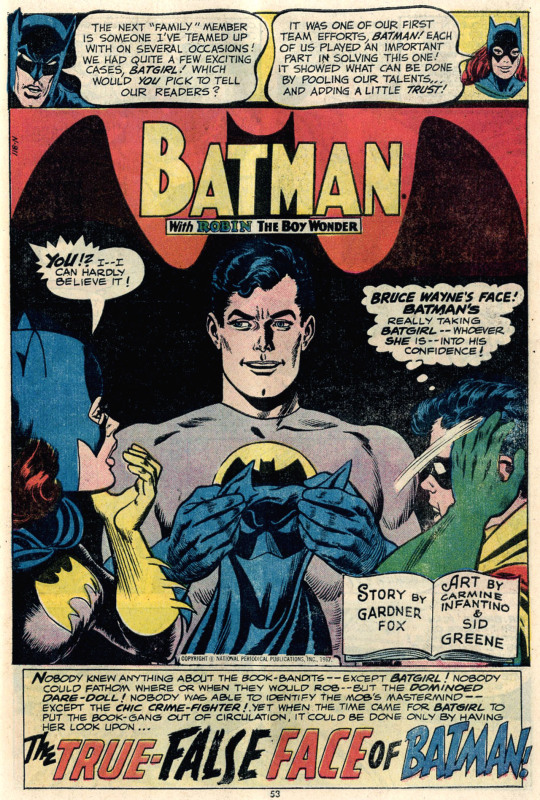 While I was waiting for my copy of the ACTION COMICS #1 Treasury Edition, I got this 100-Page issue of BATMAN. This book too wound up getting thrown out, so I must have had it before whatever moment set my father off and doomed my small comic book collection. Consequently, because I only had it in my possession for a relatively short time, my memories of it are rather vague. 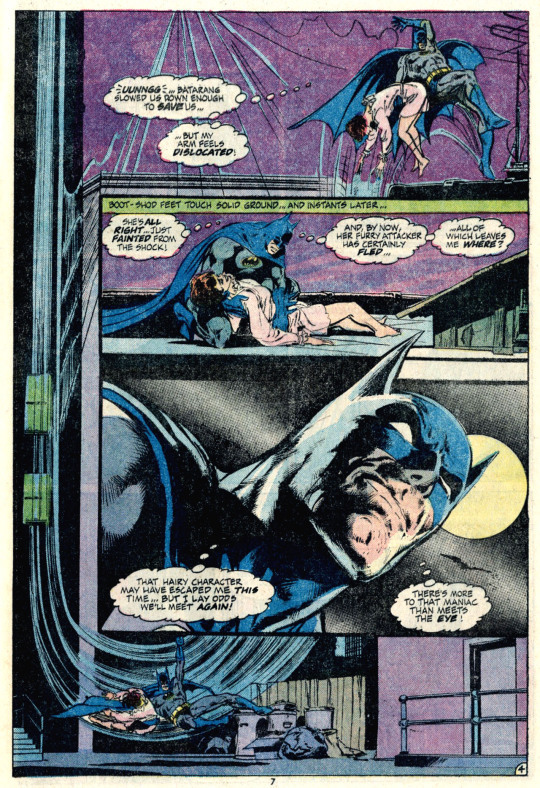 The lead story, “Moon Of The Wolf” by Len Wein and Neal Adams is a classic, and was later made into an episode of the Batman animated series–but I really don’t remember reading it at all. There was a bit of a dichotomy going on with Batman in this period. A real effort was being made by modern day creators to return the character to his mysterioso roots, to make him a fearsome creature of the night again. 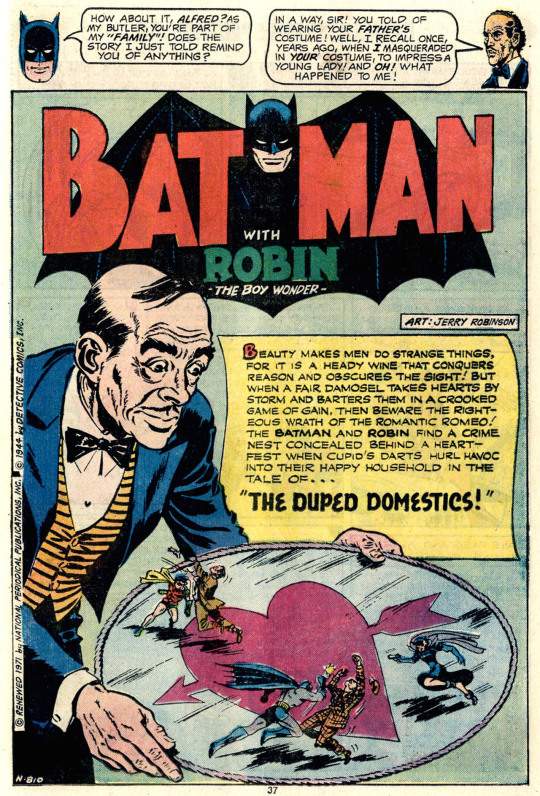 At the same time, the 1966 BATMAN television show was playing five days a week everywhere in syndication, and DC was reprinting a ton of earlier Batman stories that hearkened back to the lighter era of the Caped Crusader. As a result, there was a weird disconnect for me. I was very comfortable with the “Bright Knight” version of Batman who was on Super Friends and in the reprints, but I never developed the same attachment for the darker, more serious version. He somehow seemed simultaneously too grim and too vulnerable for my tastes, despite the work of my preferred editor Julie Schwartz. It could simply be that Julie was trying to hit an older demographic with these Batman stories, and as such, they left me cold. 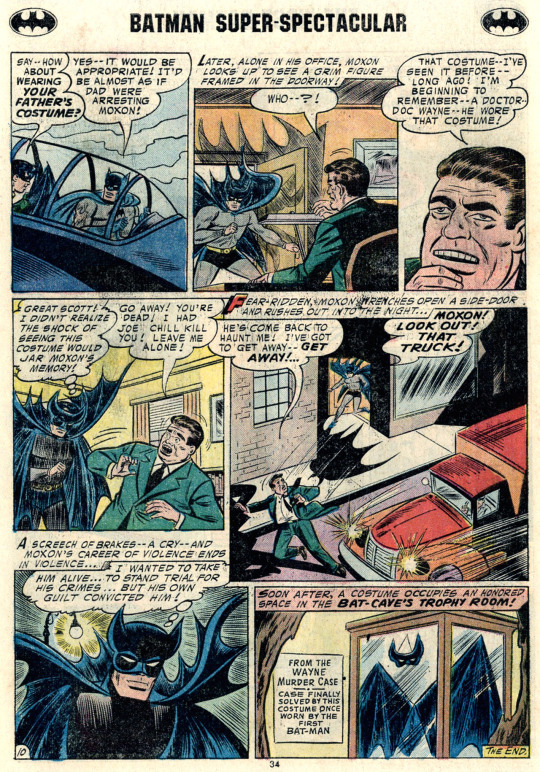 The one story I do clearly recall for this issue is this one, the spooky (for 1955) tale of Thomas Wayne as the first Batman. 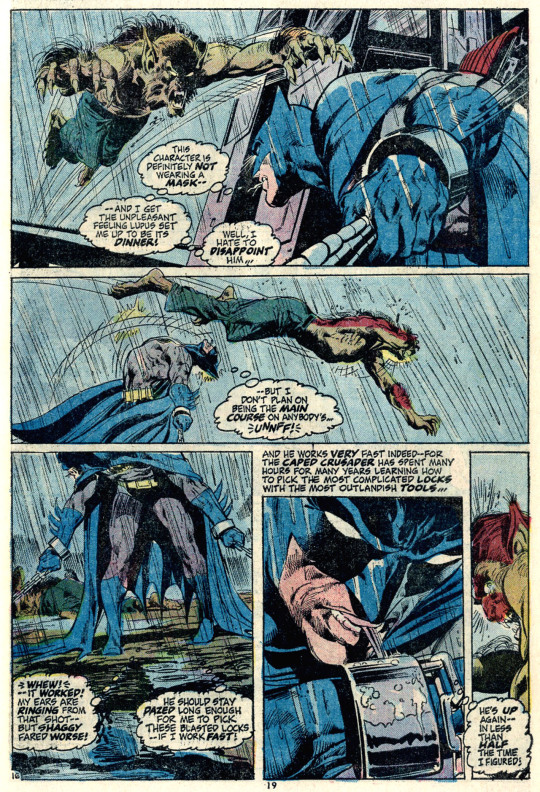 It revealed that the murder of the Waynes that led to Batman’s creation wasn’t a random mugging, but rather a hit placed upon Thomas Wayne by bank robber Lew Moxon after Wayne, attired in a Batman costume for a costume party, got him arrested. In particular, the second-to-last panel on this page really stayed with me for some reason, burned into my memory long after the book itself was gone. Next up was a pretty Jerry Robinson story that didn’t stick with me at all. 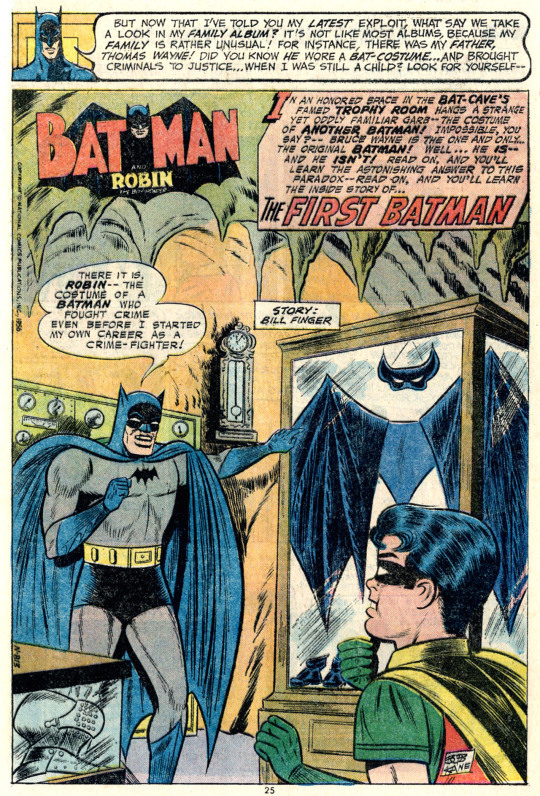 DC would often reprint Robinson’s BATMAN stories in this era, and while he’s an acknowledged great in the field, I must admit that as a kid his style left me cold. This one featured the Catwoman during the period where she was wearing a full cat-face mask, and Alfred dressing himself up as Batman, to comedic results. DC would pack the 100 Page Super-Spectaculars with features as well as comics. 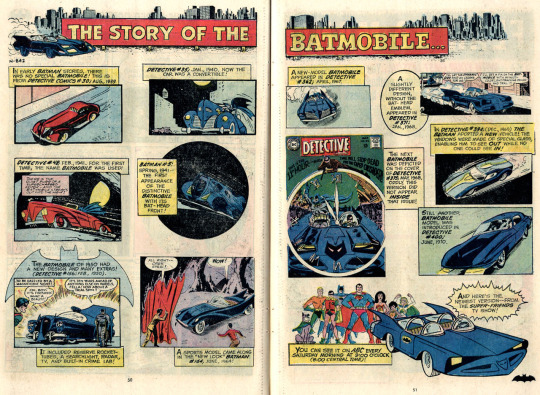 I thought this history of the Batmobile was pretty cool. 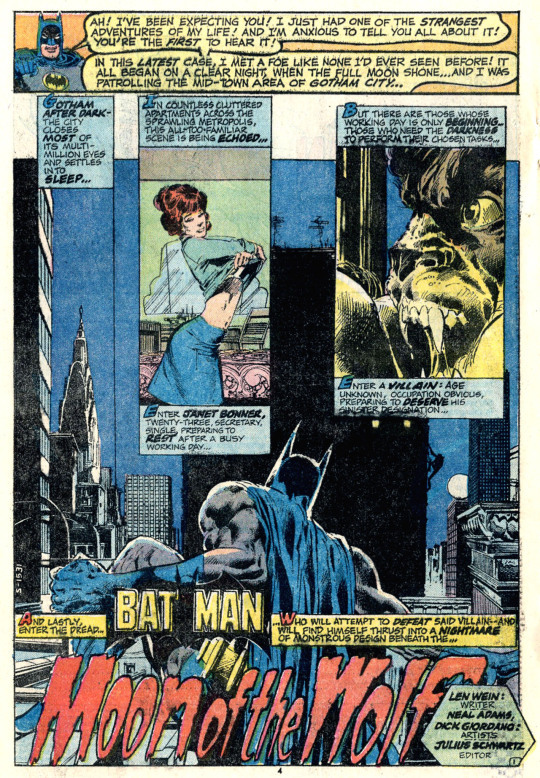 I also liked this Carmine Infantino-drawn story that guest-starred Batgirl. Though I didn’t make the connection to the guy who had drawn those earlier Flash stories that I liked, the inking style of Sid Greene being so different. 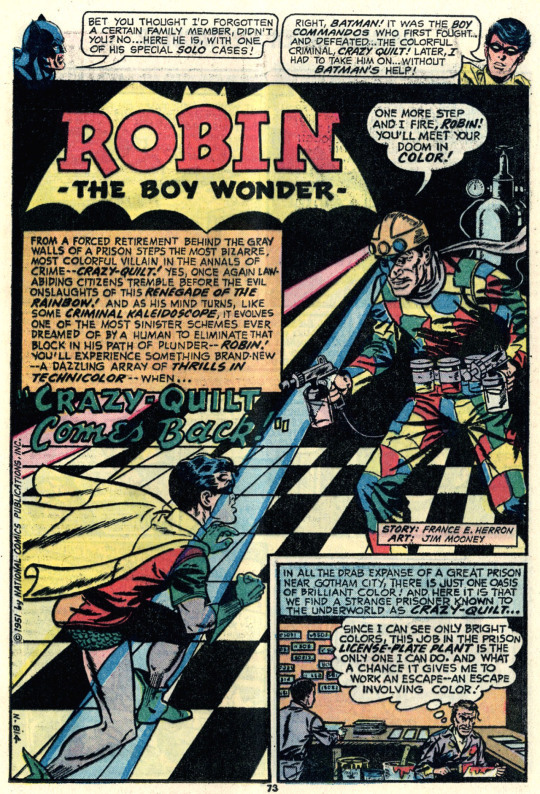 And the only thing I can remember about this Robin story is the villain, the absurd Crazy Quilt. It’s worth noting that CQ started out as a Boy Commandos villain, who somehow migrated over to the Robin solo strip in STAR-SPANGLED COMICS, and from there into Batman’s gallery of foes. 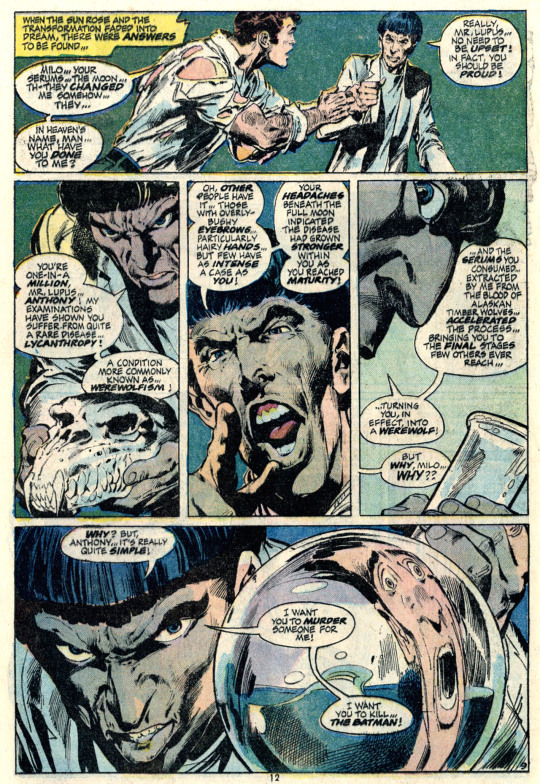 Finally, I was introduced to one of my favorite Batman villains, the Outsider. 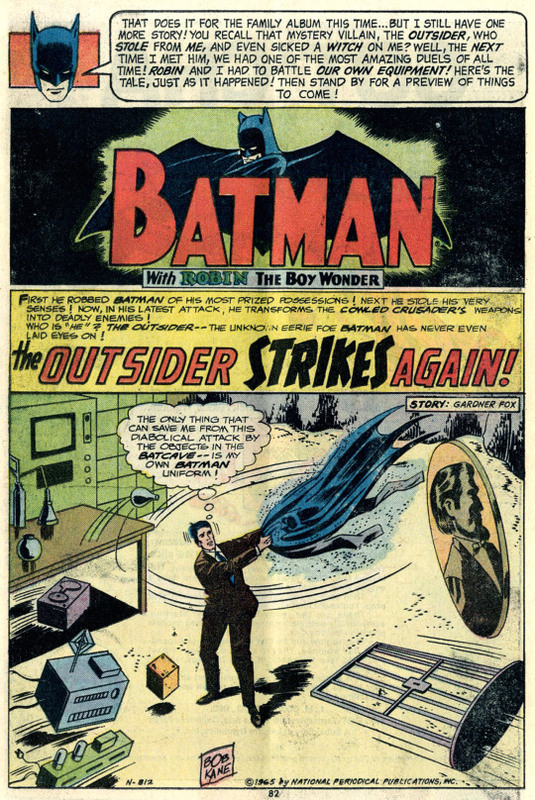 The Outsider was a strange figure, seldom seen on camera, who had a grudge against Batman and Robin and who struck at them from the shadows in weird ways. Like the Green Goblin in AMAZING SPIDER-MAN, his true identity was a running mystery for several years. If you don’t know who he was, I won’t reveal the answer here.